Suffolk Dog Day is on the search for its new poster dog – if you think your pooch has what it takes, then we want to hear from you! Don’t forget to put Sunday 28th July in your Doggy Diaries – we will be bringing back Suffolk Dog Day better than ever before! Not only will your dog become THE face of Suffolk Dog Day, you'll also scoop a hamper of doggy goodies and FOUR VIP tickets to Suffolk Dog Day 2019! 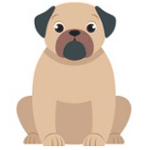 It's #NationalPetDay - and what better way to show your furry friend some love than entering them into our Suffolk Dog Day Superstar competition? WARNING: This post contains a whole lot of cuteness! If you haven't yet entered - what are you waiting for? 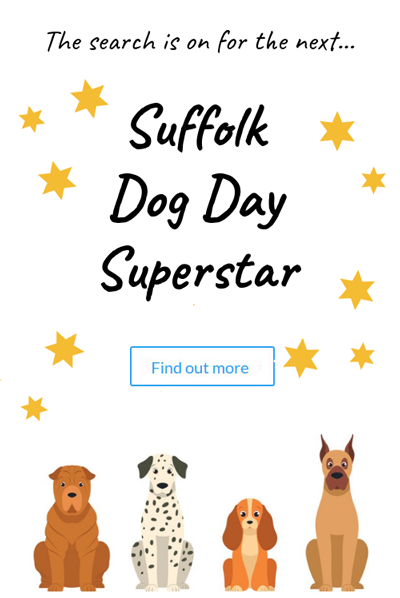 Your furry friend could become THE Superstar of Suffolk Dog Day, and be featured across all of our marketing materials for the event! Lola. 1 year old golden retriever. Connor Noble doodles is famous!! Don't forget to subscribe to our newsletter too for sneak peeks on Suffolk Dog Day 2019, exciting events and prize giveaways! To receive the latest news and updates from Suffolk Dog Day, including plans for the Woofers Winter Walk on Sunday 3rd March, sign up here!